When a semi-sentient starship's crew dies, it must find a new one in a hurry. Earth is the closest planet with sentient life and the ship, which is rapidly losing its intelligence, picks five humans as the new crew. Unfortunately, the five humans come from the Appalachian Mountains and while they are sentient, there's no guarantee that they're intelligent. What affect will these humans have on an unsuspecting galaxy? 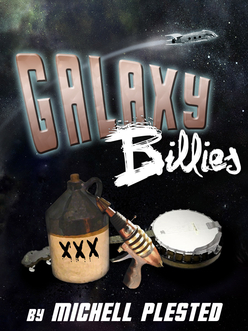 We will send GalaxyBillies to your Kindle at . GalaxyBillies has been sent successfully to your Kindle!